YOUTH CLUB in conjunction with Doomed Gallery celebrates this zine launch with ‘Darker Shades of White’, a one-off talk by renowned urban & hip-hop photographer Normski. Discussing the progression of his extensive archive from shooting London family life to documenting the emergence of hip-hop itself, ‘Darker Shades of White’ harks back to the very foundations of urban street culture in the UK during the 1980s. 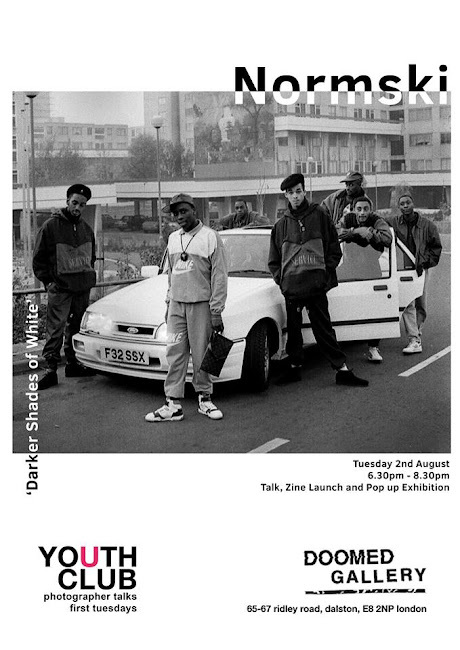 Working with YOUTH CLUB, Normski will produce a limited edition 40 page zine available for sale on the night. ‘Darker Shades of White’ is a previously unseen insight into the early days of Normski’s journey before his career as a TV and Radio presenter, notably as the presenter for BBC’s Dance Energy. Having photographed a distinct range of worldwide musicians such as Run DMC, Barry White and Dr Dre, he adopted the nickname ‘Normski’ whilst on a trip to New York. Through his involvement in music he gained his reputation as a leading authority on urban and contemporary culture, leading him to photograph hip-hop artists and fashion movements for publications like The Face, i-D and Vogue. Youth Club are proud to launch this exclusive and intimate edit of Normski’s iconic photographs complimented by the very experiences that forged them. Location: Doomed Gallery, 65 Ridley Road, London, E8 2NP. 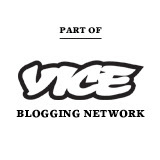 Nearest Station: Dalston Kingsland/Dalston Junction Overground.